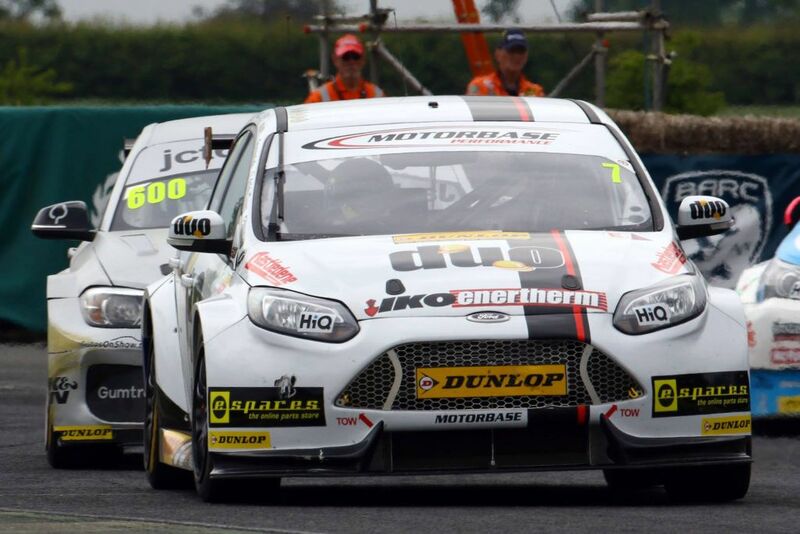 Motorbase Performance will head into the Dunlop MSA British Touring Car Championship’s summer break with an extended lead in the Independents’ Championship after securing five top ten finishes – and five Independents class podiums – from rounds 13, 14 & 15 of the season at Croft. Saturday’s qualifying session saw both drivers qualify inside the top ten, with Andrew Jordan securing eighth on the grid despite admitting he hadn’t been able to get the most out of his new Dunlop tyres and Mat Jackson one place further back after a series of set-up changes following practice saw him vault up the times. Staying out of trouble as the field streamed down to Clervaux for the first time in Sunday’s opening race, Andrew emerged from lap one having already moved the #77 Focus up into fifth place which is where he would remain to the finish; the Pirtek-backed driver enduring a somewhat lonely race but being rewarded with victory amongst the Independent drivers to strengthen his lead in the standings. 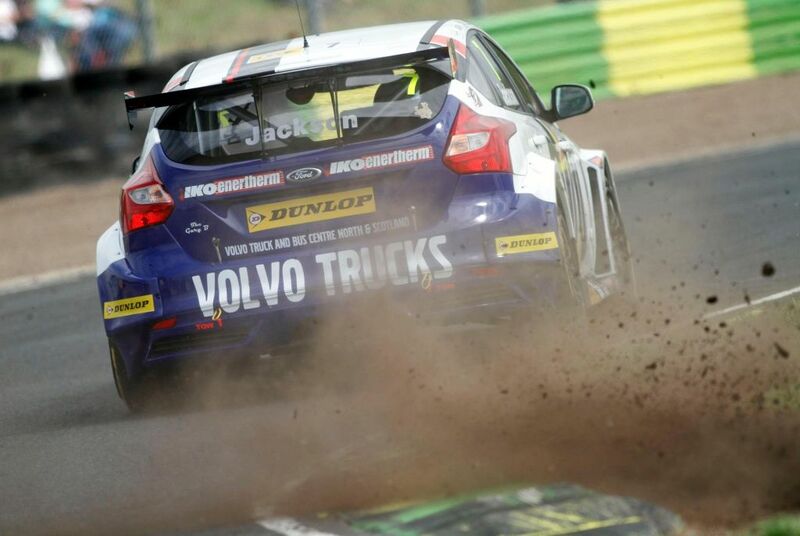 Jackson had elected to run the harder compound Dunlop tyre at the first available opportunity and although he would run as high as sixth early on, the #7 Focus would take the flag in eighth place overall and third amongst the independents. 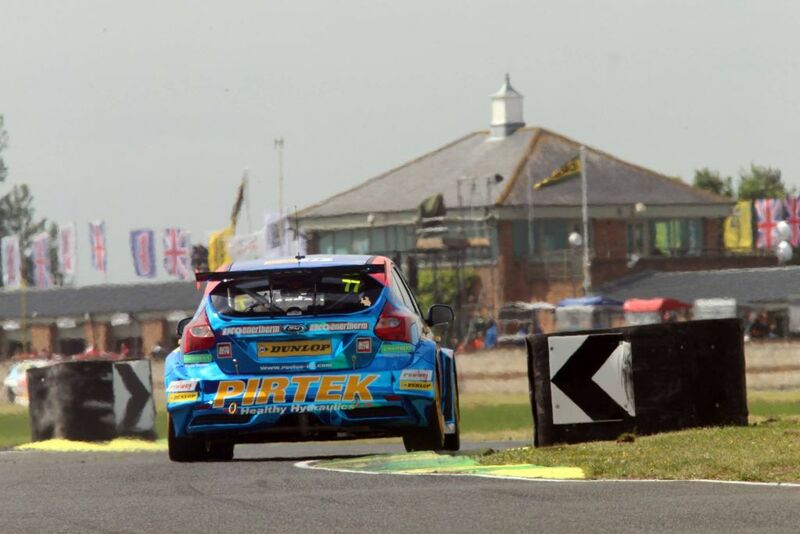 Andrew’s run to fifth in race one would prove to be all the more remarkable thanks to an issue with the gearbox on his Focus, which had been losing oil towards the finish and had to be replaced prior to the start of race three. 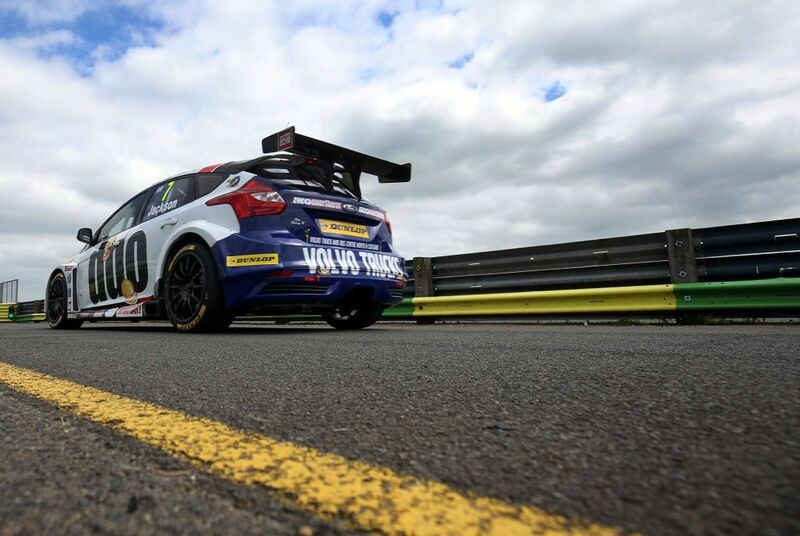 Astonishing work from the Motorbase crew in the garage ensured the Red Bull athlete was able to take his place on the grid for race and he was able to add more points to his championship tally with a solid drive to ninth place. This time it was Jackson’s turn to be the first Independent driver home as he crossed the line in sixth, making the most of a strong start that saw him make up two places in the opening half a lap and holding station in his position for the remainder of the race. The arrival of rain before the start of race three left the team with a decision to take on tyres, with Mat being one of four drivers to gamble on slicks in the hope that the shower would pass, but Andrew going with wets. Sadly for Mat, it would prove to be the wrong call as the rain increased, with the #7 Focus slipping down the order before a clash with Aiden Moffat put him into retirement. 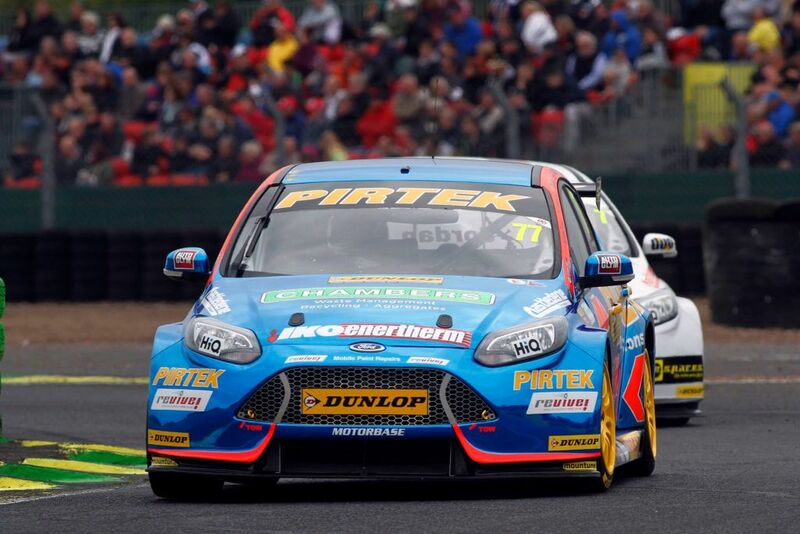 Astonishingly, that marked his first retirement – and the first time he had failed to complete every racing lap in a race – since the corresponding fixture three years ago, showing the remarkable consistency of the Motorbase-built Ford package. 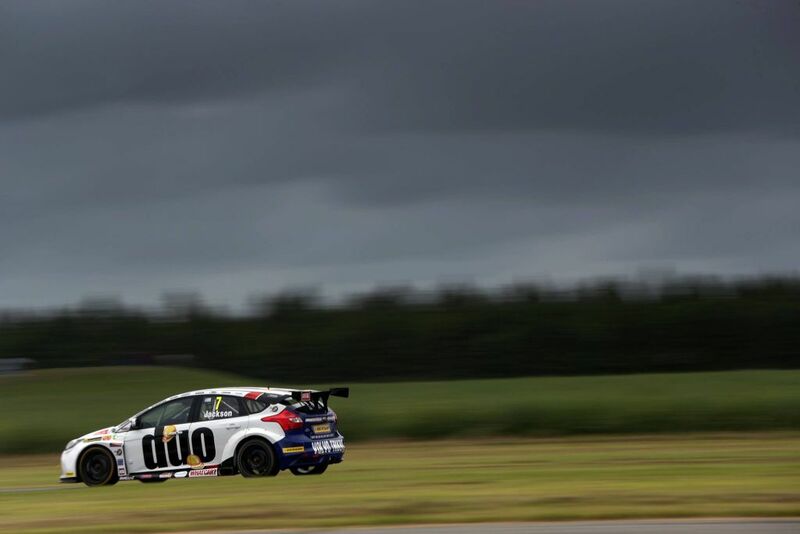 Andrew however ended his weekend with more solid points to his name as he mastered the tricky conditions to take fifth place on the final lap; achieving his aim of picking up solid points across the weekend. 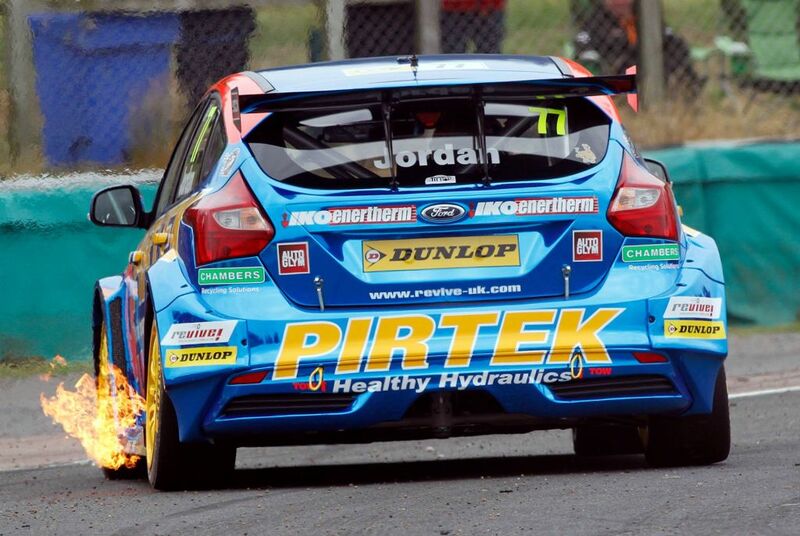 At the end of the weekend, the Motorbase Performance squad has extended its lead at the top of the Independent Teams Championship to 57 points, with Andrew Jordan also increasing his advantage at the head of the Independents Trophy. Despite his race three retirement, Mat remains well placed in third. 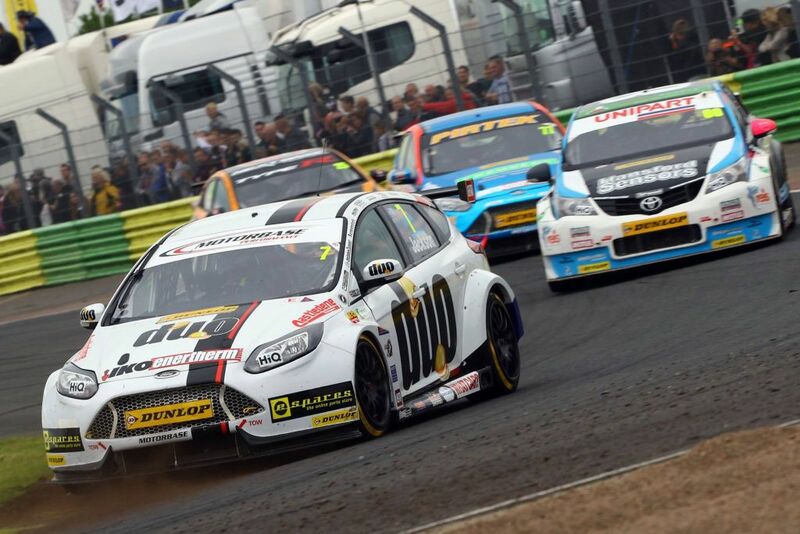 The Dunlop MSA British Touring Car Championship now enters its extended summer break before racing resumes at Snetterton in Norfolk for rounds 16, 17 and 18 on 30/31 July. “All in all a pretty good weekend for the team. At a time where RWD have the advantage we gained some really strong points today in both the overall and the Independents Championship. Outstanding work from the whole team enabled Andrew to have his engine and gearbox still out with less than half an hour to go and still get the job done which proved pivotal for him today. 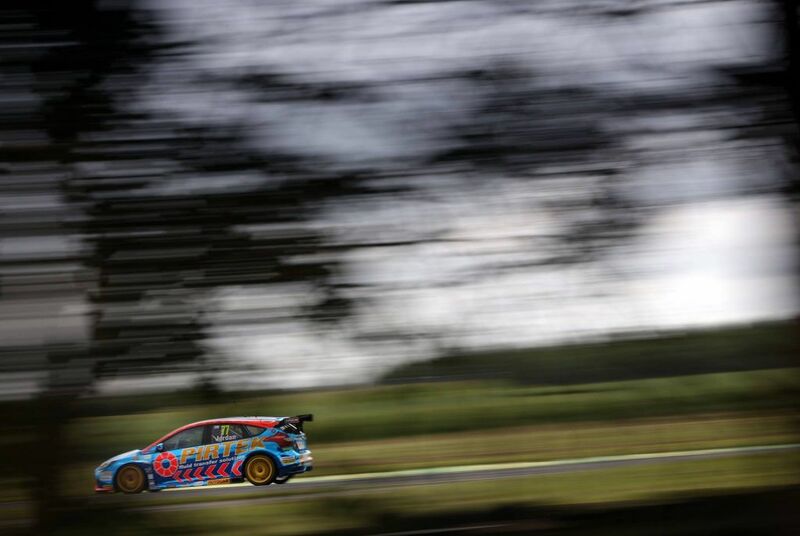 “I’d say that’s job done as we’ve scored well in all three races and extended our lead in the Independents’ championship, which I think is the best we could have hoped for at a circuit that has always favoured rear wheel drive. “Race one looked like being quite straightforward until debris smashed a sensor on the gearbox and I started to lose oil and I don’t think the car would have managed another lap. The team did an amazing job to replace the gearbox for race two in the time that was available but we literally only had time to throw the ballast in and go, so to get P9 was good, even if it was unfortunate to miss out on the reverse grid pole. “I think it’s been a positive weekend all told. In the first race, it was difficult on the hard tyre as the safety car came out a few teams and it took away any benefit there may have been in terms of drop off. Race two was good as we showed the pace in the car to be second best of the front wheel drive cars and then in race three, we just made the wrong call.